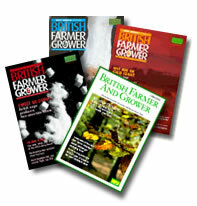 As advertised in the British Farmer	and Grower magazine. Add your own stock.... Agri Machine Trader is offering (to Traders and Private sellers) a life-time free subscription to list all machinery you have available for sale. Click here to list your stock. Agri Machine Trader lists agricultural machinery from up and down the United Kingdom. Searching is easy, and in seconds provides you with a list of all dealers and private owners that have items for sale that match your requirements. Having entered your postal code, the search results are shown with an estimated distance between you and the item in question. FREE special offer for Agricultural Machinery Traders. Click here for details.